entreVIEW: Non-qualified Stock Options or Restricted Stock Awards? Recently, an early-stage, high-growth client (a Delaware S corp.) called to ask whether, and when, to begin awarding stock options, in this case the non-qualified variety (NSOs), instead of using restricted stock grants to key contributors. Many growing companies struggle with this same issue, and the recipient and company may have differing views. Although there are five common types of individual equity compensation awards (stock options, restricted stock, stock appreciation rights, phantom stock, and employee stock purchase plans), this post focuses on NSOs and restricted stock. A NSO grants someone the right to purchase a predetermined number of shares at a predetermined exercise price (for tax reasons, at least the fair market value on the date of grant). Typically, a NSO vests over time, after achievement of performance milestones, or a combination of the two. When exercised, the individual recognizes ordinary income equal to the excess of (i) the fair market value of the stock received over (ii) the exercise price. 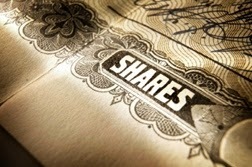 For example, assume a NSO to purchase up to 100 shares at an exercise price of $10 per share. The NSO vests at the rate of 25% per year for four years and has a 10-year term. At the conclusion of the four-year vesting period, the recipient exercises 50 options. If the fair market value of a share was $20 at such time, the optionee has ordinary income equal to the difference between the $20 fair market value and the $10 exercise price, or $10 per share ($500 total). Therefore, a NSO operates as a tax-deferral mechanism by delaying the recognition of income until the option is exercised. The company receives an equivalent deduction. Of course, NSOs are highly dependent on a company’s performance because if the fair market value of the stock falls below the exercise price, the option is essentially worthless. A restricted stock award is a grant of shares which are subject to as risk of forfeiture until certain restrictions, like the passage of time or achievement of performance milestones, are met. For example, an employee may be granted 360 shares of restricted stock that “vest” over a period of 36 months at the rate of 10 shares per month, provided the employee continues to be employed. If the employee ceases to be employed, the restricted stock agreement often will give the company the right to repurchase any “vested” shares, with the right to any “unvested” shares automatically terminating. The tax consequences to someone receiving restricted stock depend upon whether a Section 83(b) election was filed with the IRS. When a 83(b) election is timely filed (it must be filed within 30 days of the issuance) the recipient reports as ordinary income, the excess of (i) the stock’s fair market value at the time of the award over (ii) the amount, if any, paid for the stock. The recipient then has no tax consequences as the risk of forfeiture lapses. Alternatively, if no 83(b) election is filed, the recipient is taxed as the risk of forfeiture lapses, in an amount equal to the excess of (i) the value of the stock at the time of vesting over (ii) the amount paid for the stock, if any. This is also taxed as ordinary income and the company receives a compensation-related deduction at the same time and in the same amount. The type of equity compensation award granted is likely to be based on the goals and objectives of both the company and the recipient. For example, when a company’s stock has very little value, the recipient is likely to prefer restricted stock; however, as the value of the stock rises, the recipient may prefer NSOs because of the potential immediate tax (with an 83(b) election) on grant. On the other hand, if the company performs poorly, the stock’s value may fall below the NSO’s exercise price, rendering the NSO worthless. Restricted stock awards may be more complicated for the company because the recipient becomes a shareholder on the award date, even though some of the shares remain subject to forfeiture. Therefore, unless clearly defined in the agreement granting the restricted stock, issues may arise as to the voting, dividend, and other shareholder rights the recipient has with respect to the unvested shares. This is a high-level summary of two types of equity compensation awards that might be useful to entrepreneurs. Of course, it is important to discuss equity compensation with your legal counsel and other tax advisors in order to develop and implement a plan that achieves the desired objectives.